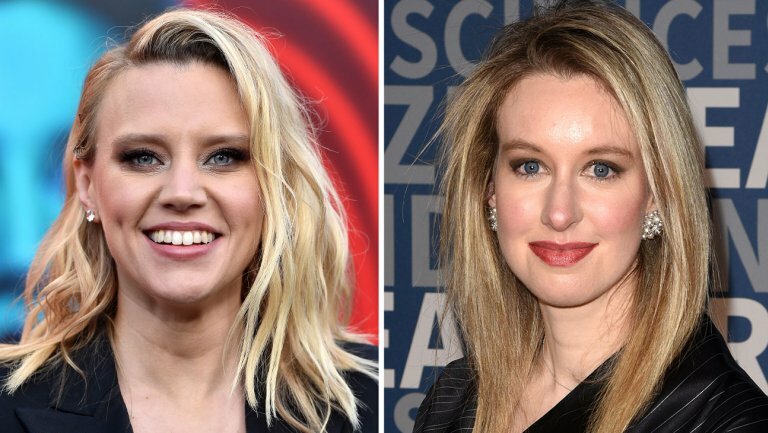 Kate McKinnon is branching out from Saturday Night Live with the lead role in a Hulu series about Theranos founder Elizabeth Holmes. McKinnon will star in and executive produce The Dropout, a limited series detailing the fast rise and hard fall of Theranos and Holmes, The Hollywood Reporter has confirmed. It’s based on an ABC News podcast of the same name, which also was the basis for a recent 20/20 episode. The Dropout traces how Holmes raised hundreds of millions to fund biotech startup Theranos and became a media darling while hiding the fact that her touted blood-testing machine didn’t really work. The series comes from Fox Searchlight’s year-old TV division. Following Disney’s $71.3 billion acquisition of 21st Century Fox’s entertainment assets, Fox Searchlight, ABC and Hulu are all under the Disney banner (the company is a majority owner of Hulu after acquiring Fox’s stake). Podcast host Rebecca Jarvis, ABC News’ chief business, economics and technology correspondent, will exec produce with McKinnon. Taylor Dunn and Victoria Thompson, producers of the podcast, will have the same title on the series. The Theranos story is also the subject of John Carreyrou’s book Bad Blood — which is being adapted into a feature film starring Jennifer Lawrence and directed by Adam McKay — and the HBO documentary The Inventor, which premiered in March. McKinnon is following fellow SNL regular Aidy Bryant to Hulu for her first series-regular role outside the NBC late-night institution. Bryant’s comedy Shrill premiered on the streamer in March. For Hulu, The Dropout is the latest in a growing list of limited series projects. The streamer is currently airing the true-crime drama The Act (which is intended as a season-long anthology) and has Catch-22 and Veronica Mars on tap for later in the year. Hulu’s The Looming Tower earned four Emmy nominations in 2018, and the streamer has also aired the Stephen King adaptation 11.22.63.